Feminism is a well-established marketing tool but, with hundreds of thousands of women taking to the streets to demand equality, brands are grappling with a new wave of "backlash marketing". Philippa Roberts, founder of marketing-to-women consultancy Pretty Little Head, said that social media has been responsible for many of the progressive brand campaigns that have given a voice to women’s power. She added: "It has become more powerful because it is more visible. The brilliant expressions of humour, creativity and strength. The multifaceted face of women that very rarely get displayed in traditional media, where women are so passive." Her comments follow the vast number of brands getting involved with last week’s infinitely Instagrammable global protest, where women from around the world marched against the erosion of liberal values to overshadow US president Donald Trump’s first day in office. 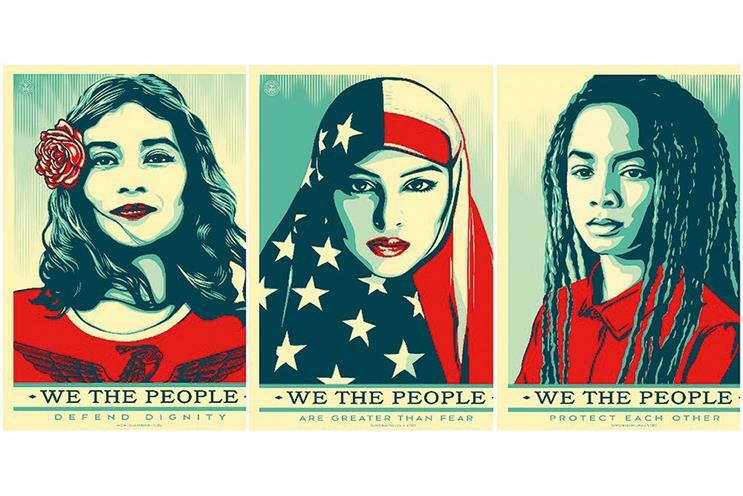 It aligned a diverse range of people and ideas under the "#WhyIMarch" banner on social media channels. Brands showing their support for the movement included Procter & Gamble, which released a film of its best stereotype-smashing ads on its Facebook page and declared: "Today, it only seems appropriate that we too reiterate our support of women everywhere." Fashion brands also lined up to show solidarity with the marchers. Gucci took to its Instagram account to succinctly answer the #WhyIMarch question: "Because none of us can move forward if half of us are held back." It was a move that placed the brand in the top ten influencers around the marches on Instagram, according to Socialbakers (see box, below). Marc Jacobs handed over its Snapchat account to staff on a march, while designer Tory Burch also declared her support. On the flipside, CNN found itself on the receiving end of a social media backlash after inexplicably hosting a panel dominated by men to discuss the implications of the marches. It was an irony not lost on Jon Wilkins, executive chairman of Karmarama, who believes the marches show a climate where business leaders need to "lean in" to equality on all levels including representation. The marches underline a social and political landscape that has prompted people with no previous experience of activism to seek an outlet for their fear and anger. Jo Allison, editor at trends consultancy Canvas8, said people marched for emotional reasons. She explained: "They wanted to see solidarity in action, rather than just on their news feeds. It’s about feeling the support in a more real way." Alicia Kearns, director of Global Influence, added that the women taking to the streets to protest against inequality served to underline the power of a raw, unfiltered message. She explained: "The women in the street were saying we have courage, we have anger. Let’s stop telling women they are a problem to be fixed. If brands really want to stop inequality, they have to look at the role their business plays in reinforcing it." Allison said: "Making unequivocal statements about who you are and what you stand for or against makes it easier for us to know where we stand, and that’s something consumers like." Diversity plays a huge part in driving creativity – a fact evident in the marches. In the US, Generation Y, which made up a large proportion of the protestors, is the most diverse in history, with 43% identifying as non-white. Look to brands such as P&G, which recently overhauled its internal promotions and appraisal systems to better promote equality, or Gucci, which in 2013 launched a movement to promote justice and equality for women. Phil Teer, strategy director at Brothers and Sisters, pointed to the contrast with the Iraq War protests, where people aligned with a single, unified message. He said: "It is a very populist movement but behind it lies a diversity of beliefs and opinions." Brands and influencers can find themselves in the social media firing line. The force of the wrath directed at food blogger "Deliciously Ella", who Instagrammed her support, is a case in point.